TELFORD, PA — GO2 Ministries is pleased to announce the addition of Dru Dodson as Director of Integrated Ministries. He will lead GO2’s Integrated Ministries Initiative which seeks to partner U.S. and international churches/church networks. GO2’s Integrated Ministries Initiative is designed to empower these newly-partnered churches to work together in addressing the need for relief, development and to alleviate human suffering in their communities. As these projects are carried out in Jesus’ name through His Church, the gospel will be shared, leaders developed and churches strengthened. Dodson says, “Our prayer is that these U.S. church partners will gain a ‘missionary mindset’ for the U.S. and will partner with GO2 Ministries to plant churches here as well. My heart is to see Jesus’ Gospel of the Kingdom taught, Kingdom leaders equipped and released, and His Church established so that his name is lifted up and no longer a byword in our land. “In particular, I want to see the church of the United States strengthened, and new churches planted for our post-Christendom culture,” says Dodson. Dodson brings deep and varied experience to GO2. 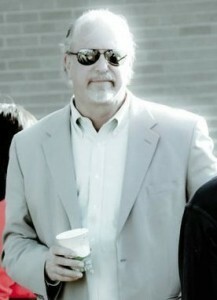 Currently a teaching pastor at the church he helped plant – Lake Valley Community Church in Hot Springs, Arkansas – Dodson began his professional life as a mechanical engineer and is now in process for his D.Min at Gordon-Conwell Theological Seminary in Global Church-based Theological Education. He carried out humanitarian, evangelistic and church-establishing work in Jerusalem, Kenya, New Orleans, Guatemala, Burma/Myanmar and beyond, experiences which have cultivated a “missionary mindset” in his daily living. For additional information about GO2 Ministries, please visit www.Go2Ministries.net or call (877) 222-2048.